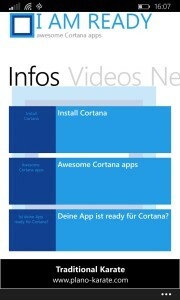 Do you develop apps with Cortana for Windows Phone? If yes, you will love our app. We help young innovative developers and publishers to get the reach. Our app is running on Windows 8 and Windows Phone. Feel free to contact us via email hallo @ appsterne.de if you know any awesome apps.